For those looking for something a bit different than a regular t-shirt. This flowy tee is perfect for more exclusive and high end promotional campaigns. Relaxed and high quality ladies tank top. Soft and lightweight it is one of the best options available in terms of price and quality. This lightweight, fitted vest is one of Gildan's most popular from their men's range. It is ideal for any purpose or printing technique. Anvil's heavy duty vest is not just high in quality, but also available at a very affordable price. Ideal for promotional purposes and compatible with any printing technique. 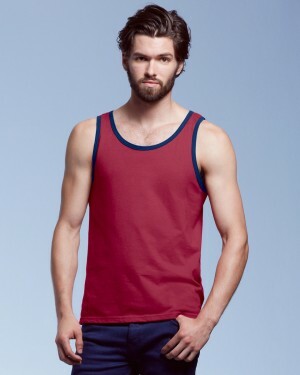 This mid-weight tank top offers high quality at a low price. This great value-for-money garment has a soft and smooth finish, providing for a high quality print. Suited for any printing technique.